​World Oceans Day takes place in June each year and this year’s activities focused on preventing plastic pollution and encouraging solutions for a healthy ocean. To celebrate, Plastics|SA ​ joined forces with environmentalists north of Durban, to fight ocean pollution by installing a litter boom at the Umhlanga lagoon. The boom was designed to trap litter and prevent it from entering the ocean and was launched in celebration of World Oceans Day. ​“Our aim is to reduce the amount of litter that washes into the sea from the Ohlanga river. The litter boom floats on the surface of the water and acts as a trap that prevents all the floating litter from washing down into the estuary and into the sea. It then allows for that litter to be collected at one point. The device does not pose a risk to any species found in the lagoon. On the same day, a beach clean-up was organised by The Winds of Change Group and Point Yacht Club, who, between them, collected 400 bags of litter. Plastics|SA sponsored a public shark dissection and education session which took place on the Umhlanga Main beach, hosted by Steven Mabugana from Aqua Amazing. Our partners on the day included DPAPP, Durban Green Corridor, Umhlanga UIP, Upper Umhlanga Security Trust, KZN Recycling Form, USE –IT, Tetrapak and AquaAmazing who did a shark dissection as part of the education drive to inform beachgoers of the effects of litter on our environment. ​The Operation Clean Sweep Programme South Africa was launched on Thursday, 8 June 2017 at Ushaka World, Durban during World Oceans Day Celebrations. ​​Mandy Naude, POLYCO; Cheri Scholtz, PETCO, Adri Spangenberg, PASA with Douw Steyn and Anton Hanekom of Plastics SA. THE GOAL: achieving zero pellet, flake, and powder loss. Most plastic consumer products are made from small plastic pellets the size of a small sunflower seed (without the shell). Plastic makers have developed an innovative program called “Operation Clean Sweep” to help keep these pellets where they belong – in factories, trucks and railcars and out of the natural environment. Download the manual and poster below for your manufacturing environment. Every segment of the plastics industry has a role to play—including resin producers, transporters, bulk terminal operators, recyclers and plastics processors—by implementing good housekeeping and pellet, flake, and powder containment practices. The Declaration of the Global Plastics Associations for Solutions on Marine Litter, launched in March 2011, is a global declaration and public commitment made by the international plastics community to address the issue of plastics in the marine environment, which includes Operation Clean Sweep. ​Dream, Explore, Become! This was the theme at the 2018 Sasol Techno X Exhibition which took place recently in Sasolburg and attracts more than 19 000 visitors each year. Plastics|SA and AquaAmazing teamed up once again to highlight the value of plastics and why they should be recycled. 9 Shark dissections over the 5 day exhibition, 4000 learners from 78 schools - it was no surprise that PlasticsSA ​received the award for the ‘most talked about exhibitor’ at this years event! ​Plastics|SA and Aqua Amazing host educational roadshows at rural schools. ​Chloe, from PETCO, ​explains how bottles are made to some of the 5000 children from the Dinokeng area who attended the expo. Plastics SA, the Dyer Island Conservation Trust and the Wildlife and Environmental Society of Southern Africa (WESSA) invites you to join us in helping to reduce marine debris. 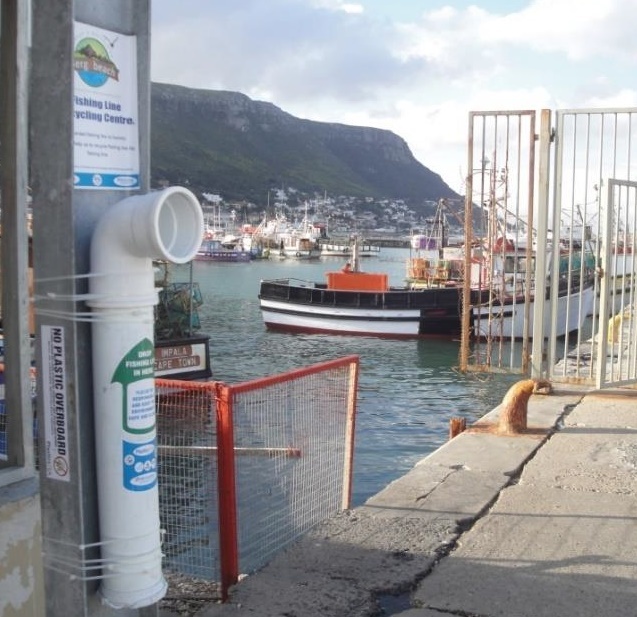 With funding from DPI plastics and the South African Plastics Pipe Makers Association (SAPPMA), we are building a nationwide network of monofilament recycling locations to make proper disposal of fishing line more accessible. Volunteer to install and maintain a monofilament recycling location at a fishing spot near you. Who: Marinas, Fishing Clubs, Local Organisations. Volunteer to install and maintain a monofilament recycling location. We will, with kind donation from DPI plastics provide you with your own monofilament recycling bin. ​Install the bin in a high traffic fishing area and regularly maintain it, separate any collected material and send the collected line to Plastics SA for processing. ​Track the amount of line you collect through our online database. ​​Discarded fishing material (nets, mono filament line, and Cray fish trap anchor ropes) is responsible for damage to marine life. What makes it especially dangerous is that it cuts into the skin and flesh of larger mammals (i.e. seals). The material is also dangerous for human swimmers and boating as it can damage propellers of boats. By increasing public awareness about the negative impact of fishing line debris on marine life, water quality, and human welfare, the project’s goal is to reduce the amount of fishing line entering and remaining in the marine environment. Plastics SA is happy to provide a bin and signage for bins. Email us and let us know how many bins you need and where we can send them. Where to Send Collected Line? Copyright 2018 by Plastics | SA.